Giuliano Mazzuoli's Manometro watch in a mix of polished and satin finished 18k yellow gold. 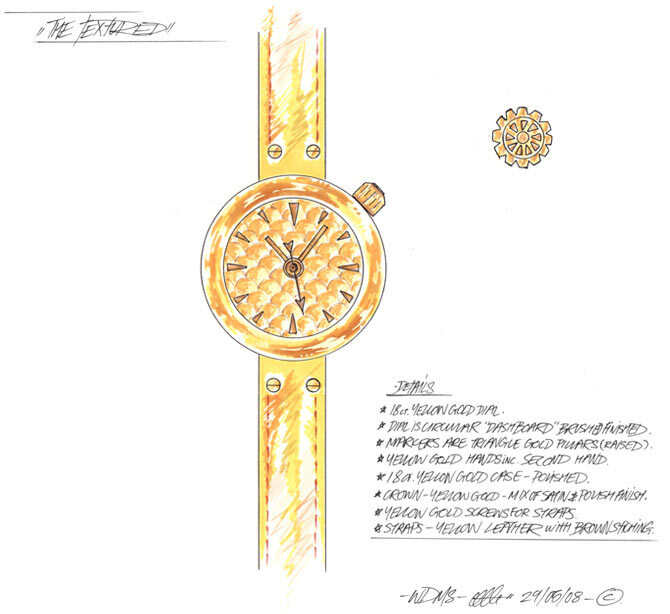 The dial has a circular brushed texture with triangular 18k yellow gold markers. The straps are in yellow leather with brown stitching. The crown is in 18k yellow gold.